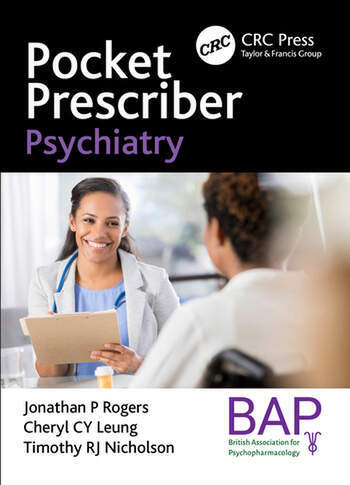 Pocket Prescriber Psychiatry is a concise, up-to-date prescribing guide containing all the "must-have" information that psychiatrists and mental health professionals need to know. This book provides the key essential information for all mental health professionals prescribing drugs and is essential for psychiatrists, mental health nurses, primary care physicians, psychologists, psychotherapists, and counsellors and anyone caring for people with mental health issues. Now available for download as a mobile or handheld version from www.hoddereducation.com and with further essential information from www.lifeinthefastlane.com. Common/Useful Drugs. Drug Selection. How to Prescribe. Miscellaneous. Psychiatric Emergencies. Reference Information.